Become A Diagnostic Medical Sonographer In Only 1 Year Get Started Now! So you’re thinking of becoming a Diagnostic Medical Sonographer? You’re not alone! An education in ultrasound opens all kinds of doors to a rewarding career in the medical field. We’ve established an accelerated 1-year program with 4 modalities: Abdomen, OB/GYN, Vascular and Echocariography as well as Ultrasound Physics. After all, who wouldn’t want to play an important role as part of a healthcare team working closely with patients and doctors? Who wouldn’t want high job security, with the field estimated to grow 46% through 2022? 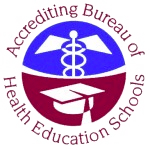 The Florida Institute of Ultrasound, Inc. has been accredited by the Accrediting Bureau of Health Education Schools (ABHES) since 1985 and provides an extensive study of ultrasound principles and instrumentation to teach scanning techniques. 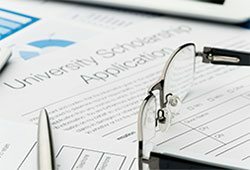 We provide the student with the knowledge to evaluate clinical data and recognize disease entities in order to produce a diagnostically significant exam. 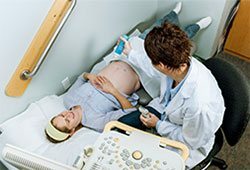 Ultimately we develop competent sonographers who are proficient to enter the field of diagnostic medical sonography, and are capable of passing the American Registry of Diagnostic Medical Sonographers examination. Florida Institute of Ultrasound, Inc. is proud to have one of our own instructors writing questions for the ARDMS Registry. 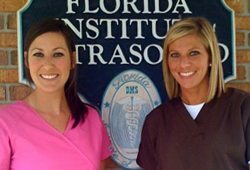 Contact Florida Institute of Ultrasound, Inc through the web form or call our office at 850-478-7611.